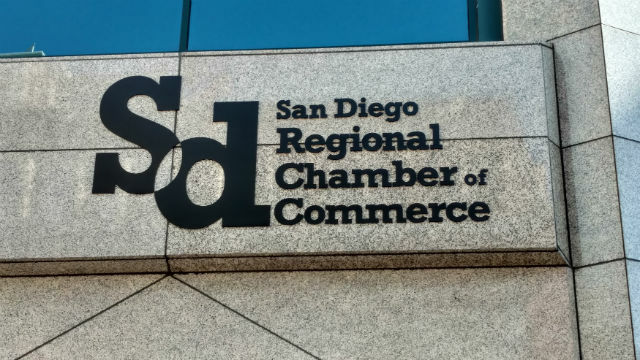 Confidence in San Diego County’s business environment remains upbeat, according to monthly report released Friday by the San Diego Regional Chamber of Commerce. The chamber’s Business Outlook Index this month hit 19.1, up from June’s 15.9 rating. The index ranges from 100 for extremely optimistic to minus-100 for very pessimistic, with zero being neutral. Optimism from mid-sized to large firms is driving the optimism, according to CalPrivate Bank CEO Tom Wornham, whose firm sponsors the forecast. According to the survey, 60 percent of respondents find local governments friendly to businesses and 21 percent say very friendly, which is in line with data from the previous three years. The historic low point was in 2014, when 11 percent of businesses perceived local government as very friendly. Staffing is the top concern among businesses, according to the index, with 7 percent of respondents prioritizing hiring.